Stephen Biegun, U.S. Secretary of State Mike Pompeo's special representative for North Korea, arrived in North Korea on Wednesday, as President Donald Trump announced that he will hold a two-day summit with North Korea leader Kim Jong Un Feb. 27-28 in Vietnam to continue his efforts to persuade Kim to give up his nuclear weapons. Biegun, who flew to Pyongyang from South Korean capital Seoul, is expected to hold talks with his newly appointed counterpart, Kim Hyok-chol, Korean news agency Yonhap said. Kim was until recently North Korea's ambassador to Spain. 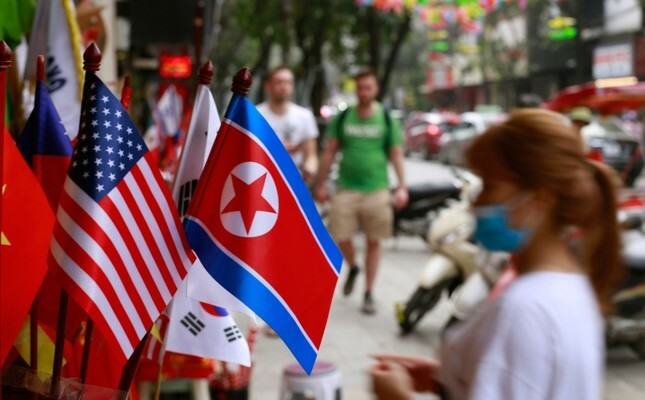 The top officials will discuss this month's planned summit between U.S. President Donald Trump and North Korea's Kim Jong-un, the agency added. Biegun appeared hopeful, but acknowledges that many issues make it especially complicated for the two countries to "embark on a diplomatic initiative of this magnitude." Before flying to the Koreas, in a speech at Stanford University last week, he said Washington was not planning to occupy North Korea but wants complete details of its nuclear programs. Meanwhile, Trump said his outreach to Kim and their first meeting last June in Singapore opened a path to peace. But there is not yet a concrete plan for how denuclearization could be implemented.